These easy DIY garden projects are all simple to do but have an elegant look when finished. Most require just a few tools and can be done in a few hours on a weekend. Time to make some easy DIY Garden Projects. I love to craft, but never have much time for intricate projects. I enjoy those that require just a few supplies and can be made in a couple of hours on the weekend. 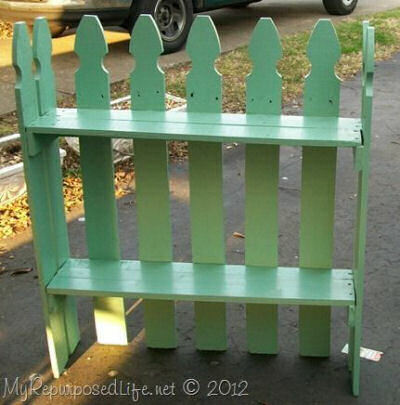 Do you have an old picket fence? Make it into a garden shelf. How about some dollar clothes pins? No problem, just make a cute planter. Got a rusty old bucket? Add a Michael’s craft store tear drip jewel for a dazzling garden display. Here are some of my favorite easy DIY Gardening projects. Just click on any of the pictures for more details. 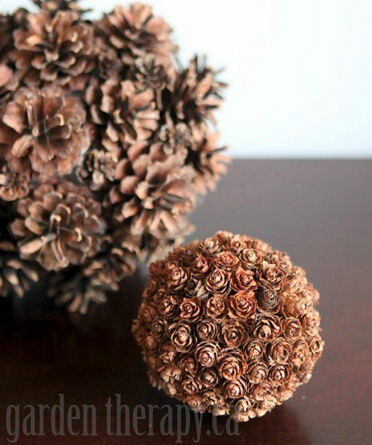 These pine cone spheres from Garden Therapy are easy to make and look perfect in fall decor pieces. 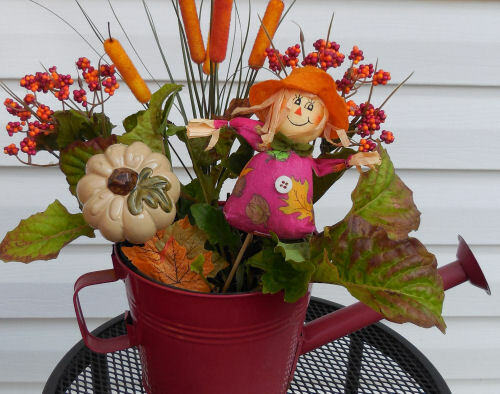 This watering can planter was done in just a few minutes and makes use of Dollar Store supplies. 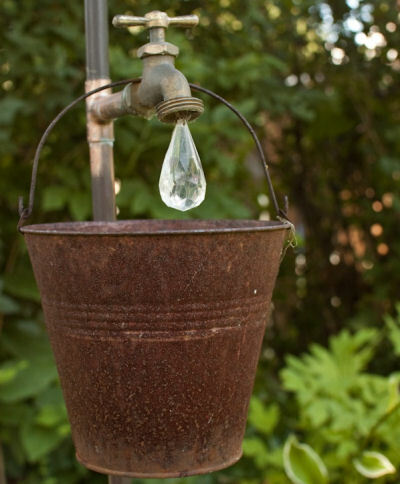 This rusty galvanized planter hangs from an unused watering spout. A single tear shaped bead looks like water! For another version of this project, check out this cute water spout planter that I made from a TJ Maxx planter. Add a couple of pieces of wood to part of an old picket fence and you have a great looking picket plant stand. This last one is a simple project. Just pin clothes pins on to some fairly stiff card board and loop it into a circle. 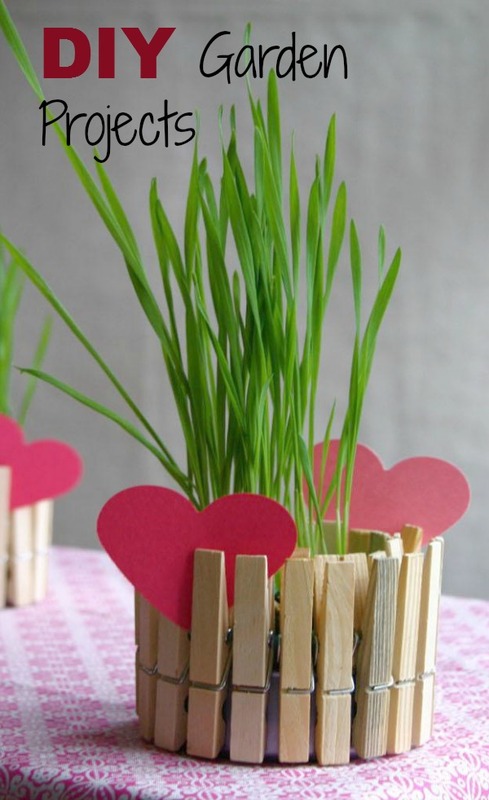 Add a small pot of chives inside and tuck in some red cardboard hearts for decorations. So cute and easy! What is the easiest DIY project that you have ever done? I’d love to hear about them in the comments below.